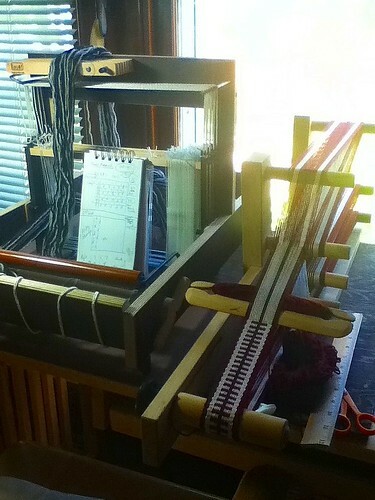 Here’s a new-to-me addition to my loom family, a 25″ Schacht Tapestry Loom. It’s a deceivingly simple loom, basically a frame with a tension bar, but it has the ability to do a continuous warp, which means you can weave something 60″ long, plus it has four harness dowels for patterned weaving. 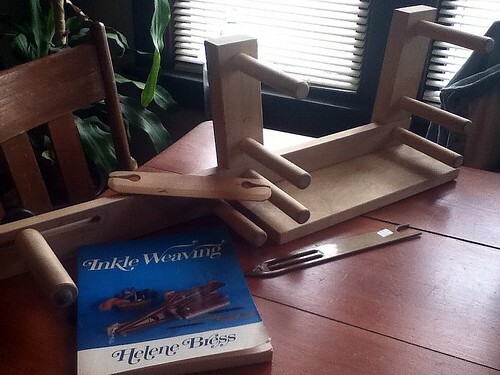 I warped the loom with what I had left of my churro warp. Spacing it at about 5 epi, I have a 15″ width. 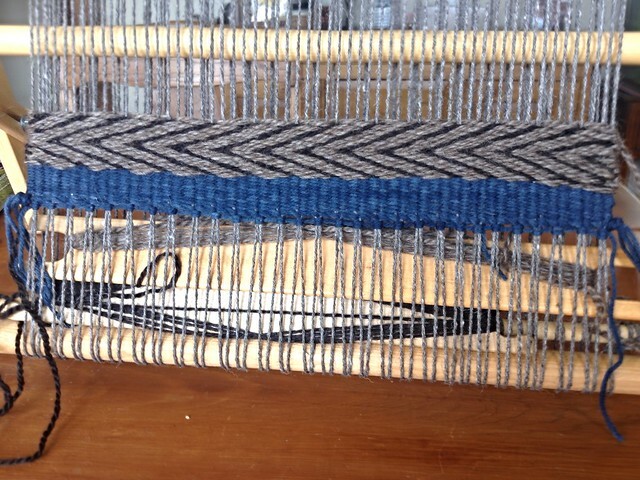 I wove a footer with some beautiful blue indigo wool, and then I used string heddles to add a twill pattern. It takes four harnesses. 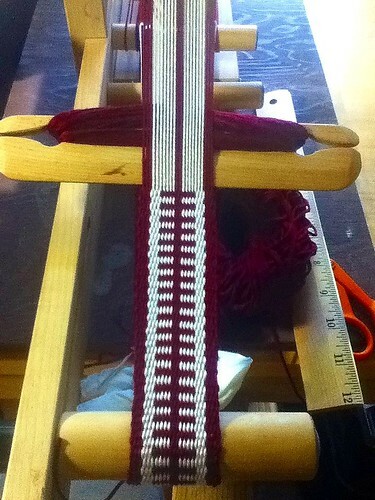 My plan is to only do small areas of twill, followed by some wedge weave. I did. 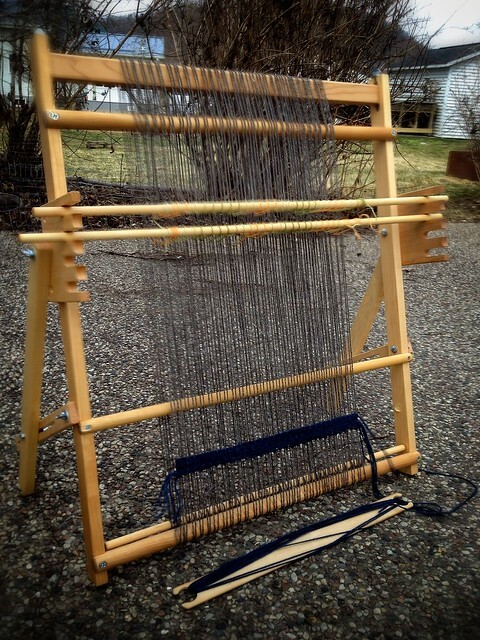 I did purchase another loom! Because I need another one just about as much as I need another hole in my head. Almost fooled you, didn’t I? This band reminds me of an old-fashioned wicker hamper. 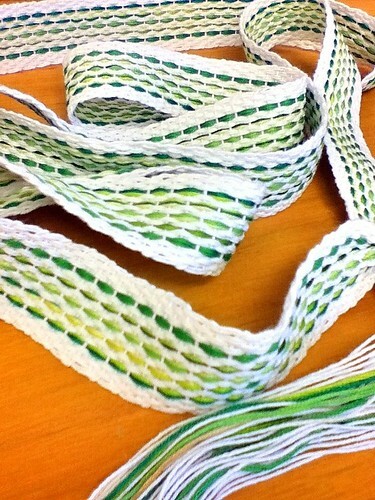 It's white cotton (two strands) and green embroidery floss. Soon, I'll be finished with all that vintage floss I found in a tin at an antique store. The only colors left are pinks and yellows. But I only took one picture. 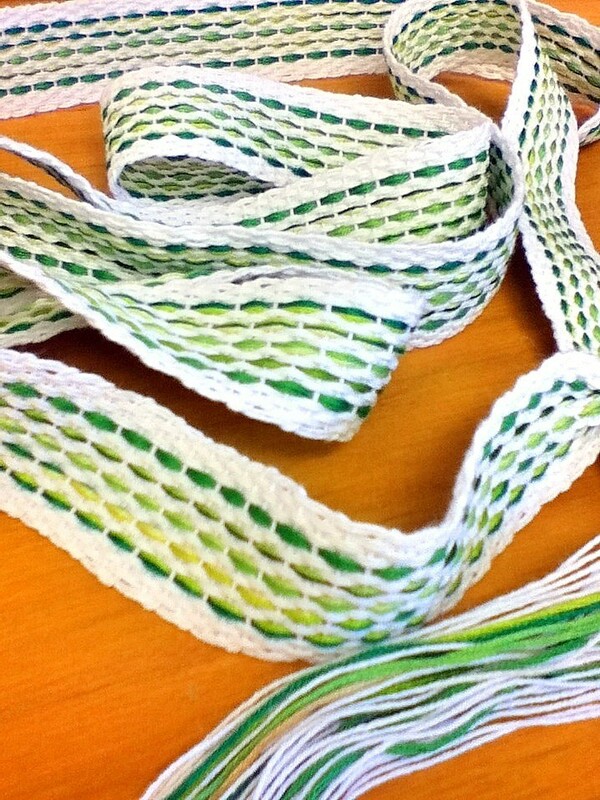 I wove a very quick band out of black crochet cotton and a variety of purple and lavender embroidery floss. 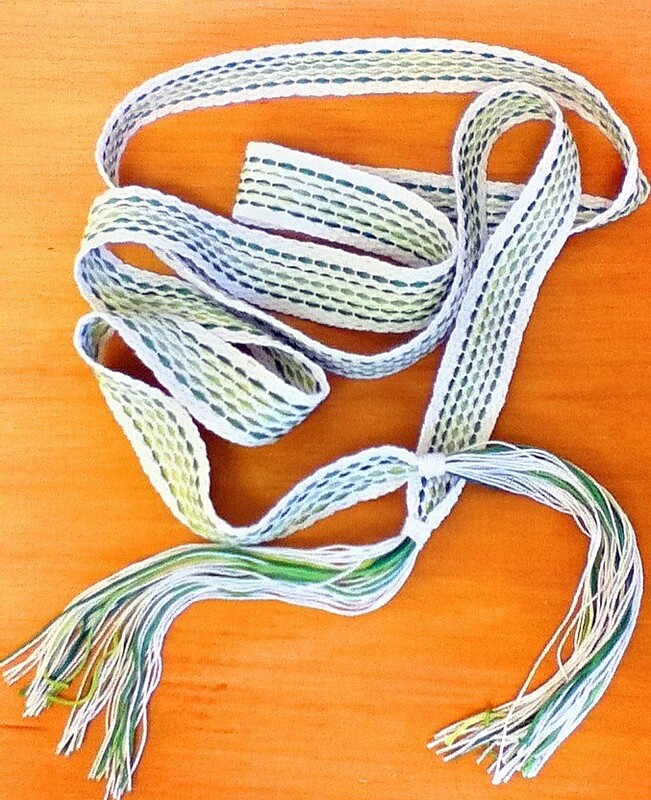 Some of the strands were doubled and some were tripled. I really like the stained glass effect it produced. 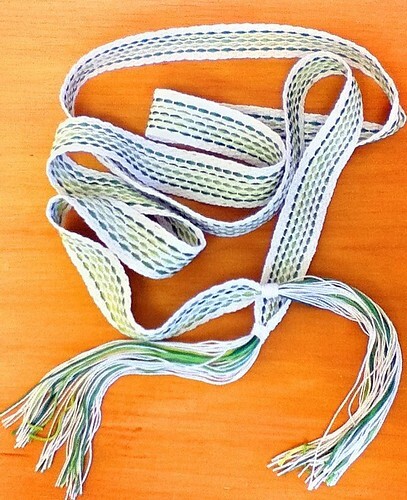 I also made another long band I cut into some bookmarks, but honestly, it wasn't really worth a picture. Saturday’s thrift store finds: a Schacht Inkle Loom with extras!